Connecticut is a solid state for poker players. They have 2 well-known casinos that host poker games – one being Mohegan Sun, and the other being Foxwoods Casino, which is one of the largest casinos in the USA for poker with 380 tables. 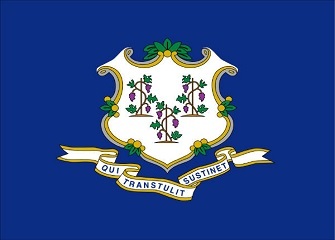 And despite online poker technically being illegal, Connecticut is a forward thinking state in regards to poker. They have many legislators, Indian casino owners and other supports that back the eventual passing of a regulated online market. Sound good? Read on to learn more. Is Online Poker Legal in Connecticut? Online poker isn't specifically addressed. However, if you take into account Connecticut's transmission laws, you can assume that it’s probably not. Sec. 53-278d. Transmission of gambling information. (a) Any person who knowingly transmits or receives gambling information by telephone, telegraph, radio, semaphore or other means, or knowingly installs or maintains equipment for the transmission or receipt of gambling information, shall be guilty of a class A misdemeanor. And the Connecticut website refers to Section 53-278a (2) that states that any gambling activity in Connecticut is illegal unless otherwise authorized by law. That alone makes online poker illegal. Social gaming is specifically mentioned in Connecticut law. It's ok to run or participate in a home game so long as no one is profiting from running the game, but only from (playing against) other players. Sec. 53-278b. Gambling; professional gambling; penalties. (a) .... provided natural persons shall be exempt from prosecution and punishment under this subsection for any game, wager or transaction which is incidental to a bona fide social relationship, is participated in by natural persons only and in which no person is participating, directly or indirectly, in professional gambling. Do Casinos in Connecticut Offer Poker? Absolutely. Foxwoods Casino is a well-known casino owned by the Mashantucket Pequot tribe. Foxwoods runs lots of events, including the WSOP circuit. In fact, the state receives 25 percent of the tribal casino revenue. In 2011, over $350 in revenue was brought in from Foxwoods and Mohegan Sun. So it's safe to assume that the live poker scene won't be going anywhere. We receive a lot of questions about the legality of poker in Connecticut. Below you'll find those questions and our answers. Will online poker be regulated in Connecticut? There is a lot of optimism in Connecticut regarding the regulation of online poker. The Mashantucket Pequot tribe legislative ties have shown interest in regulation, which is unusual for Indian casinos, but nothing yet has been brought before legislature. The downside to regulation in Connecticut (if you can call it that) is that the state is small. Intrastate poker would be difficult here because of the lack of traffic. That said, it's possible, likely even, that Connecticut would work with other states to increase player pools. Is there an online poker room that accepts players from Connecticut? Residents of Connecticut can play at any site that accepts US customers. A couple options include Bovada, BetOnline and Sportsbetting Poker. What other forms of regulated gambling is offered in Connecticut? Residents can bet on horse and dog races, off-track betting, bingo and the state lottery. Jai-alai, a sport involving bouncing a ball in a walled space, can also be bet on in licensed areas. Where can I read more about Connecticut poker laws? Here are some interesting facts about gambling in Connecticut. Senior citizens organizations are allowed to operate bingo games without first obtaining a permit. Gambling losses over $1 that result from unlicensed gambling can be recovered via civil action within 3 months. Sec. 52-553. Wagering contract void. All wagers, and all contracts and securities of which the whole or any part of the consideration is money or other valuable thing won, laid or bet, at any game, horse race, sport or pastime, and all contracts to repay any money knowingly lent at the time and place of such game, race, sport or pastime, to any person so gaming, betting or wagering, or to repay any money lent to any person who, at such time and place, so pays, bets or wagers, shall be void, provided nothing in this section shall (1) affect the validity of any negotiable instrument held by any person who acquired the same for value and in good faith without notice of illegality in the consideration, or (2) apply to the sale of a raffle ticket pursuant to section 7-172. Sec. 52-554. Recovery of money lost in gaming. Former Full Tilt Pro John D'Agostino is a professional poker player form Seymour, Connecticut. He finished 5th in the 2nd season of the World Poker Tour PokerStars Caribbean Poker Adventure event.